Ekta has involved in many social developmental activities and training programs at District and State level in convergence with different Govt. Departments and District administration. The activities includes vocational training, meetings, awareness drive and orientation program on health, governance and livelihood at Koraput, Rayagada, Malkangiri and Nabarangpur districts of Odisha. CAPACITY BUILDING OF PRIs MEMBERS: Ekta has organised capacity building training programs for the newly elected PRI members of 16 Gram Panchayats under Dasmantpur blocks of the district. These training programs had been jointly facilitated and supported by State Institute of Rural Development (SIRD) and District Rural Development Agency (DRDA), Koraput. Around 198 PRI members were orientated on their functional powers, rights under three tires of Panchayat Raj System along with different social security schemes and programs. After getting these orientation programs, they would discharge their duty and responsibilities in an effective manner. 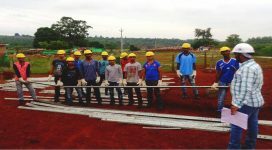 TRAINING TO THE FARMERS: Another unique program was undertaken by the organization during the years taking the prospective farmers into account. The farmers those who came here for capacities through capacity building initiatives are from the watershed areas of Semiliguda block under Koraput district. The prospective farmers have been trained on various natures in order to maintain their groups in better, systematic and effective manner. these includes book keeping, proper organisation of the meetings, leadership and its dynamics, proper uses of capital linked from various sources among others. Besides giving logistic arrangements by our organization for the participants, providing resources materials as well as arrange for resource persons of the organization. This project was supported by Watershed Mission of Semiliguda block of Koraput distict. 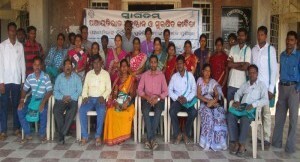 IMNCI TRAINING FOR ICDS WORKERS: In partnership with National Health Mission and District Health Department, Ekta, Koraput has been organising training programs for the Anagan wadi workers in its training centre at Duruguda. Anganwadi Workers from Koraput, Nandapur, Semiliguda, Pottangi and Laxmipur blocks of the distict have been coming here for 8 days residential training program covering all relevant areas in which the AWWs have to work in their respective centre for giving necessary support and better deliverance at the community level in the greater interest of the children and mother. More than 200 AWWs have been trained till date from different assigned blocks of Koraput district. Ekta has the role to provide all logistic support as per agreed provisions to the participants so that they won't find any difficulty in getting the training programs. TRAINING PROGRAM FOR THE YOUTHS ON FOOD PROCESSING:In partnership with Enterprise Development Institute of India, Ahmadabad, National Mission for Food Processing of Govt. of India & District Industries Centre, Koraput, our organisation had organised 30 days training program on food processing at Koraput. Altogether, 28 youths (both male and female) from different parts of Koraput had successfully completed the certification course of the same. Some of them had already started their ventures for sustaining their livelihood.